Who says math teachers don’t like to read? I have always LOVED to read, often staying up all night because “I had to get to the end of the chapter” and then it would turn into “just one more chapter”. When I was in elementary and intermediate school, it was The Baby Sitters Club & Sweet Valley High series that I loved. Of course, I also enjoyed such classics as The Hardy Boys, Nancy Drew, and Anne of Green Gables. One day, I hope to find some of those old books when I am brave enough to explore my parents attach. While I have found some adult books/ authors that I enjoy (Patricia Cornwell, Dan Brown, Stieg Larsson) my heart is in YA. Most of the reviews, upcoming author signing and books will be focused on YA. I'm currently reading books from the Texas Lone Star list to help promote those books to my students, along with books that I LOVE that may be more high school level. I'm always looking for great books for the tweens (11-14) age group. 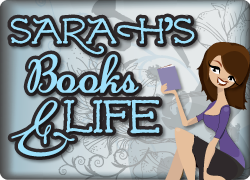 A few of my recent FAVORITE books are: Divergent, Daughters of Saraqael Trilogy, and anything by Cinda Williams Chima. Q: What is the longest book you've read? What are your favorite 600+ page reads? Longest: I think the longest book I've ever read is David Copperfield by Charles Dickens. I liked it, although I wouldn't put it on my list of favorite books. I do love understanding the various cultural references to characters in the book (particularly Uriah Heap), plus I performed an awesome reenactment of Dora's death in front of my 10th grade English class. Favorites: My favorite long books are The Count of Monte Cristo by Alexandre Dumas; Gone With The Wind by Margaret Mitchell; Herman Wouk's books The Winds of War and War and Remembrance; and John Adams by David McCullough. And Harry Potter of course - but that's a whole different level of love. Long TBR List: Mostly my long book list includes books that I want to read: Game of Thrones; The Historian; War and Peace; Anna Karenina; The Forsyte Saga; the Unabridged Les Miserables; etc. I'm curious - have any of you tackled Infinite Jest? Or any of the long books I haven't read? I've not read any you haven't read yet, but I do have a copy of Anna Karenina waiting for me to read! Hope you have a great weekend, Alison! 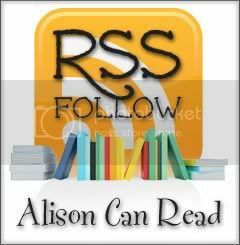 Hi Alison :O) Those are some amazing books that you choose as your favorites. I really want to read Game of Thrones and Harry Potter. I really need to read Gone with the Wind! I have a feeling that'll be on a LOT of lists this week. Come see my TGIF / Follow Friday for this week! Someday I will read gone with the wind. Someday! I hope you had a fantastic week Allison! Wow. All those classics. I'm actually not a fan of classics, and have yet to read any of those. lol. I put down Harry Potter too. I hope to read Gone with the Wind one of these days. I read Count of Monte Cristo last summer. It was great. I hope to read Gone with the Wind this summer, but I'll admit I'm a little intimidated by the mystic of this book. Happy Follow Friday! I read Gone With the Wind many, many years ago when I was a freshman in high school. I'm an old follower. Never read Gone with the Wind, but I think I have the movie memorized:) Forgot about Game of Thrones, those are some giant books! I am new to the FF hop. I have never read Gone With The Wind or Harry Potter but I have seen the movies. LOL I never realized before that most of the books I read are only around 400 pages. Wow, you have read a lot of books over 600 pages. Maybe I need to find these books because I have only read one or two 600+ books. Thanks for stopping by. Thanks for the great hop!!! I read the Historian and loved it! I don't remember it being too long... but it was when it first came out so that was a while ago! Thanks for stopping by! As per your question, the Kushiel series is about a courtesan and her role in tearing apart/building the current world she lives in. It is very hard to explain without going into tons and tons of detail. They are good books, but not for the weak of heart. Further, I would classify them as erotica and rather . . . Hmm, sadistic? Wonderful stories, awesome characters, etc. I have many big books to read as well. I'm very curious about Game of Thrones, I need to try this one too. Well Harry Potter of course! Hi, thanks for commenting on my post. I like your choice of TBR. I am hoping to buy all Games of Thrones series in the future. I'm just so crazy about the movies right now. I also plan on reading Anna Karenina again, I've only read one-quarter of the book before I gave in to 'laziness'. And oh, I love David Copperfield too. We read the book during high school. Happy Friday! Oh, we have the same fave "Count of Monte Cristo" too. :D Yikes, now that you've mentioned it, my friend did give me a copy of "The Historian" that I haven't read yet. My FF. I've read Game of Thrones - that is definitely one of those chunksters that reads so quick you don't even really realize it's as long as it is. Martin's writing style is great. I'm reading The Historian next month as apart of my TBR Challenge/Chunkster Challenge. Thick book but I hope it's good! I've read Game of Thrones - the only one from your list - and it was fantastic (if you like epic fantasies). I've read the Game of Thrones series and The Historian (all great books). I admit that I have been bad with the Russian classics! I have a copy of Anna Karenina that I have been meaning to read for...years? I know. Must get to it! Yay for The Count of Monte Cristo!! Only saw 1 other blogger choose that book! That was actually one of the only classics I enjoyed for some reason! Still can't figure out why! Oh well! I want to get into the Game of Thrones books, the show is a big hit around my house. Charles Dickens is a great choice. I really enjoyed reading some of his novels although it's been such a while. I think the last time I read classic literature was when I was in college. This hop is making me want to pick up a good Charles Dickens or Ernest Hemingway novel. I actually visited Hemingway's house in Key West. Cool stuff. Thanks for hopping over today! I've never heard of the Infinite Jest, off to check it out! Thanks for stopping by Babies, Books, and Signs. I completely forgot about Alexandre Dumas. Love him! I didn't think his books were that long, but they are. Great list! Yay for math teachers who read! EVERYONE should read, of course, but it's always nice to hear that it's not just the English teachers out there picking up books. I've never read David Copperfield, but I love Dickens so I'll probably check it out soon. Great choices and yeah for Harry Potter! Never read those books but will be checking them out. Ive seen Harry Potter on a few of the hops. Have a great day and thanks for stopping by my blog!! I can highly recommend both Les Miserable and The Historian. The other books you mentioned are also on my TBR list. Link HERE is my FF! I'm new to the Follow Friday Hop and I think it's a brilliant idea... I really enjoyed The Historian, it's actually an easy read despite its length. I've read the first 2 books for Game of Thrones and loved both of them. I was pulled into the story and honestly the length wasn't an issue. It didn't take me a little longer to read them, but at the same time it didn't feel like long at all. The only book on your entire list I have read is The Historian. It's pretty good, but not my favorite. This is my first Follow Friday, but I am so glad I discovered it! It's hard to get followers at first, so I really appreciate this! This is such a great idea! I'm new, so I just added mine, and I'm about to do some major following! I just started my blog, so this is wonderful! Thanks guys! I'm giving myself the whole year to finish Les Miserables. I'm behind, but I'm being optimistic. I have enjoyed what I've read. The Historian has been sitting on my bookshelf for quite a while. One day! Gone With the Wind is on my list as well! I would like to read some more of the classics that are longer but the time commitment is a little worrisome because I'm never that far ahead with my blog. hopping through :) old follower. the historian, war and peace, anna karenina, are all on my lists too! hope you have a wonderful weekend! thanks for stopping by! I just finished Book 1 out of the 3, and the story line is very interesting, but I definitely still have no idea what is really going on. My impressions thus far is that it reminds me a lot of The Girl with the Dragon Tattoo in terms of writing style and character set up. And yes, it does sound different. Although the translator did a great job translating difficult names of magical stuff, he couldn't avoid some awkward phrases etc. But overall, even if it's different, you can still feel the magic. Once again, have a fab weekend! I king of forgot about The Winds of War...another one I read a looooong time ago. Probably AFTER Gone with the Wind, but not much. I remember liking it, but I don't think I'd read it again (which I did with GWTW.) I've never been able to read Dickens (except A Christmas Carol.) Someday maybe I'll try again. Oh, Game of Thrones!! Go for it! I've always wanted to read Gone With the Wind! I have to make that a goal one day. I completely forgot about Les Mis! I had to read that for school when I was 13. Oh man, that book was hard going at that age! In your comment on my blog you asked what's Swann's Black is about. You mixed the two titles, though. Swann's Way is the first book in Marcel Proust's epic about how memory works. Put together, the books tell the story of how the young narrator got to the point where he was ready to write his own book (and when you get to the end of book 7 you realise what you've just read is the narrator's book and you could start again). The Red and the Black is the story of a young man caught up between the army and the Church, his journey through life, and how love becomes all consuming for him. Both are French classics. They're both good but are very much long and tiring in the way that a lot of classics are (for me, at least). Exodus is a fabulous book and I highly recommend it. Thanks for stopping by my FF! I have tried to read several "classics." I just can't get into them! I applaud you for your love of the classics! There are so many classics I have yet to read and David Copperfield, and Gone with the Wind are just a few. I really need to read those. Thank you for stopping by my FF!! "War and Peace" is NOT a page turner. More like an acronym for the sound it makes when you set it down...no matter how gently you do that. :( Good luck with it though.